Hergé, Rembrandt or Disney, the team of the Villa Modigliani has selected for you a few must-see exhibitions during your stay in Paris. If you are passionate about art and culture and are looking forward to discover the Capital’s exhibitions, put your luggage in our hotel. It will offer you an ideal situation to move around Paris. In fact the hotel is bordered by three major subway lines: LINES 4, 6 and 12 and close to Montparnasse train station. Rembrandt, the undisputed master of Dutch art of the seventeenth century, dominated art at the time. Inhabited by a creative power which forces admiration, Rembrandt interrogates the human destiny in his works, while endeavoring to represent his inner circle. The exhibition brings together some twenty paintings and some thirty graphic works, thanks to a series of exceptional loans from the Metropolitan Museum of Art in New York, the Hermitage Museum in St. Petersburg, the National Gallery in London, the Rijksmuseum in Amsterdam, the Louvre and the Kunsthistorisches Museum in Vienna. The art of parody, brought to its paroxysm and eclecticism of taste, from Anglomania to Neo-Pompeian: the Second Empire, a badly loved regime by the French, prefigures our society of spectacle and reveals itself in this splendid exhibition. Through a selection of nearly 400 major works of art, this exhibition, designed and written by the Art Ludique Museum team in collaboration with the Walt Disney Animation Research Library, pays tribute to the incredible modernity and artistry of studios for nearly a century. 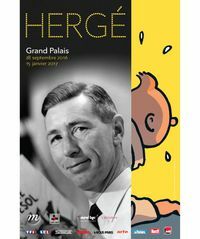 We no longer present the career of Georges Remi, alias Hergé, Belgian comic book author mainly known for The Adventures of Tintin. Often regarded as “the father of European comics,” he was one of the first French-speaking authors to resume the American style of the comic strip. Perfectionist and visionary, he created Les Exploits de Quick and Flupke (1930) or Les Aventures de Jo, Zette and Jocko (1935), and evolved his characters in relation to contemporary events. He is now regarded as one of the greatest contemporary artists and has sold almost 250 million albums, translated into a hundred languages. Since independence from the Spanish monarchy in 1821, Mexico has consistently asserted its will to change and its spirit of modernity. Painting, sculpture, architecture, town planning, music, literature, cinema and applied arts are the foundations of the country’s identity. 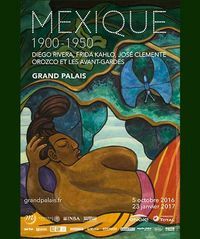 Wanted by the highest French and Mexican authorities, the exhibition is the largest event devoted to Mexican art since 1953.